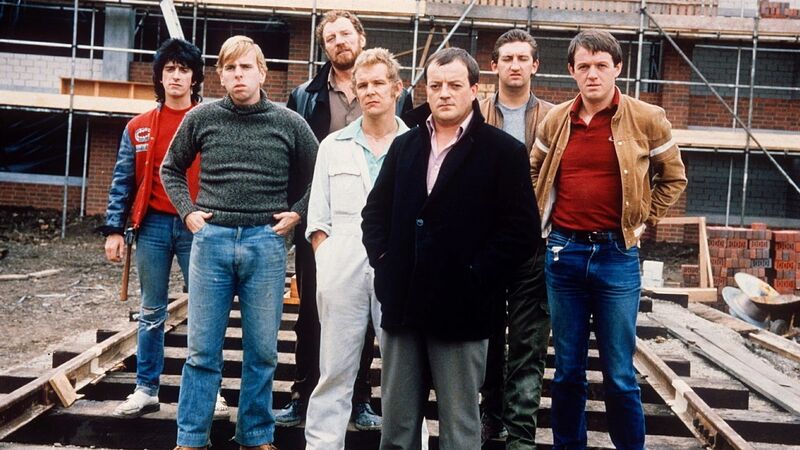 Here's where to watch every episode of Auf Wiedersehen, Pet season 3. Mouseover or tap an episode to see where to stream it. Click or tap the play icon to stream it on the best available service. Bridging the Gap Apr 28, 2002 The lads reunite in Middlesbrough for Oz's funeral, only to be approached by the man himself and he has an 'Irresistible offer' of work at home and abroad. They of course still have their problems and most with their lack of money. With Barry is problems with his marriage to beautiful wife Tatiana, and for Moxey, getting himself on the hit list of a Liverpool gangster called Mickey Startup hasnt really made his day, but things don't get much better. Heavy Metal May 5, 2002 The foreign workforce arive and immediatley there are problems as half are Serbs and half are from Kasavo, who have been at war for years! The boys start their roles as gaffers and the bridge begins to come down! Bridge over Troubled Water May 12, 2002 There is trouble all round and the deal to sell the bridge falls through. Oz finds out his son is a 'pillow biter' (gay) and has to deal with it in his own way. And men are sent looking for Moxey but help arrives in the most unusual form, a native American! A Bridge Too Far May 19, 2002 A Native American appears on the banks of the river and wants to buy the rbidge, but there is a problem the boys don't own the bridge, will granger fall for their scheme? Barry finds out that Tatyana is not Kadi's brother and throws her and Kadi out, Kadi seeks his revenge by shooting up the house! The boys fly out to America on Kadi's old plane with several tonnes of the steel. But Kadi has left a few of his 'possesions' and the motels the boys are staying in is raided by the D.E.A.! Another Country May 26, 2002 The lads find themselves united once more as workers, with a grim little hut for their new home. Barry begins to go off the rails whilst awaiting trial on drugs charges, Neville falls in love with a prostitute on the road to Las Vegas, and Oz is forced to make a heroic act of bravery to rescue the bridge project from ruin. Granger finds out about the bridge project and threatens revenge. Wyman goes missing after Oz almost comes to blows with some guys in a local pub. An Inspector Calls Jun 2, 2002 The lads discover that the past has a habit of coming back to haunt them. A police inspector arrives looking for Moxey and a vengeful Grainger puts a spanner in the works with the bridge-build. Dennis negotiates a peaceful solution, and Grainger agrees to go to Arizona. The bridge is finally completed - but they have a little surprise planned for Grainger!N.B. The Transporter Bridge is still in Middlesborough! Comic Relief - Miami Vice After completing work in Venezuela, problems at the airports mean that they are shipwrecked in Miami. We catch up with them in a hotel lobby desperately trying to find a room.Meanwhile, Moxey is looking for his case, as finds it, right next to another case exactly the same as his. Not wanting the take the wrong luggage he opens one, and finds it full of cash!Moxey being himself, he takes the case with the cash, and rejoins the lads. The receptionist informs them that the only room is the very expensive honeymoon suite. Moxey pulls out a wad on money and say that they will take it.Once upstairs the lads question Moxey about the money. Moxey tells them about the case switch, and the lads begin to worry. Was it drug money? Does it belong to the mafia? And Neville is worried as his hair dryer is in the other case!Soon after, the bell boy comes up, and after Moxey gives him a handsome tip, the bell boy, Fabio, put himself at their disposal, so they send him for some cheeseburgers.Very soon after there is a knock at the door. It to quick for the food, so that lads hide the cash and answer it. It is a huge, well built American called Frank. He has found Moxey's other bag and therefore traced them. He informs them they must bring the cash to the bosses upstairs in five minutes. But who are the bosses? Gangsters? Triads?On going upstairs they find the bosses. None other than Bono and the Edge! Bono thanks them for the money, and get them all tickets for their concert that they will be performing. Bono informs them that all of the money is going to comic relief. The Edge and Frank cannot believe this, and begin to debate this with Bono. The lads decide to make a quiet exit.